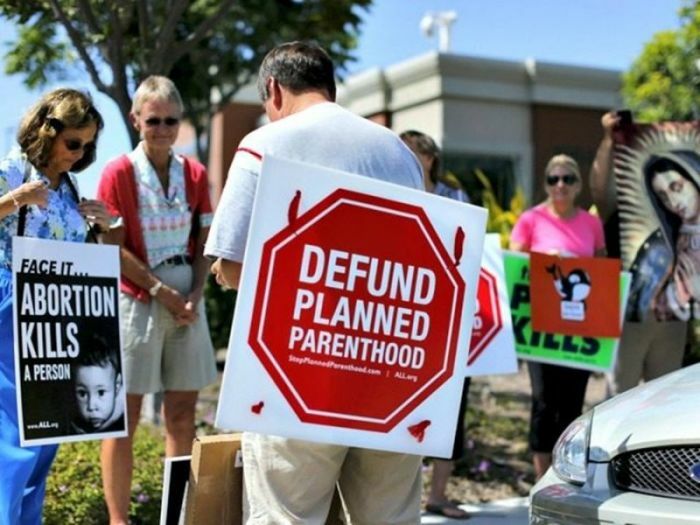 In an unprecedented move, the White House has announced that all federal funds will be withheld to abortion providers, Planned Parenthood in particular, under President Trump's 2018 budget proposal. Office of Management and Budget (OMB) Director Mick Mulvaney confirmed on Monday that the new budget would defund all abortion providers, but only if the Senate passes the new Republican healthcare legislation, known as the American Health Care Act (AHCA), which was recently passed by the House, Breitbart News reported. The news triggered celebration in the ranks of pro-life proponents while feminists raised their voices in protest. Marjorie Dannenfelser, president of the grassroots pro-life group Susan B. Anthony List (SBA List), welcomed the White House announcement, saying, "Taxpayers should not have to prop up Planned Parenthood's failing, abortion-centered business model," according to LifeSite News. Meanwhile, the announcement appeared to have stunned Planned Parenthood officials. Dawn Laguens, Planned Parenthood's executive vice president, said, "This is the worst budget for women and women's health in a generation," according to The Huffington Post. The liberal pro-abortion magazine Mother Jones said, "In practice, this will mean that Planned Parenthood and other entities that provide abortions would suddenly be excluded from participating in the full array of federally funded health programs, even though it is already illegal for federal money to pay for most abortions, thanks to the Hyde amendment." The SBA List pointed out, however, that the Trump budget proposal "would result in a $422 million increase in federal funding for community healthcare centers, which enjoy strong bipartisan support, avoid provision of abortion, and now serve nearly 24.3 million people (and climbing) in medically underserved communities across the United States." Community health centers and rural health centers "outnumber Planned Parenthood facilities by an average of 20 to one nationally and provide the preventative care that Planned Parenthood claims to provide but do not perform abortion," Dannenfelser said. "Women will be better served by the new growth of comprehensive healthcare alternatives." Earlier this month, Penny Nance, president of Concerned Women for America, said, "Donald Trump has turned out to be a real champion for life and for families, and we're very grateful," according to LifeSite News. Nance admitted that she endorsed Sen. Ted Cruz for president last year. "I'm thrilled to have been wrong about this," she said.